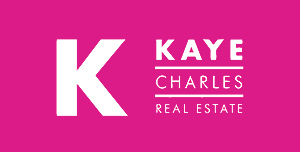 An extremely unique opportunity such as this presents itself maybe once in lifetime. 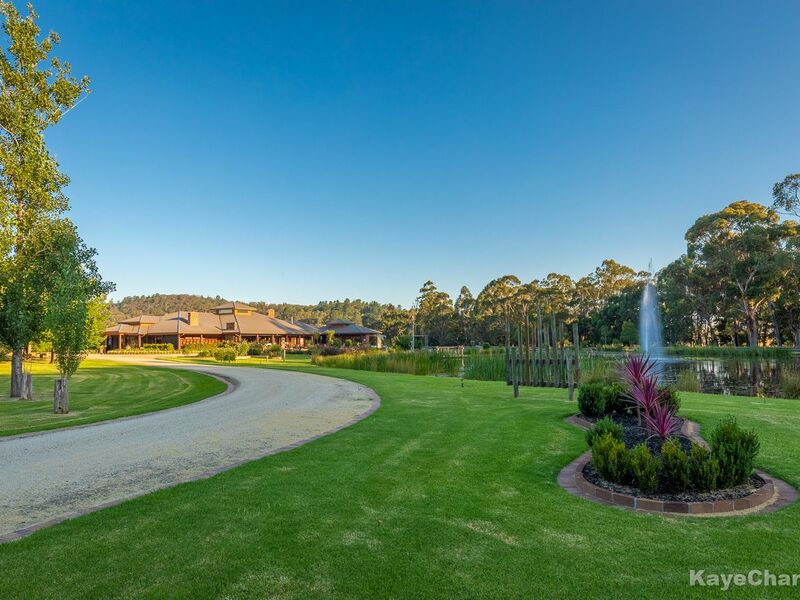 This property sets the tone as arguably one of the region’s most prestigious in calibre appealing to the discerning and astute buyer who appreciates the detail and workmanship involved in creating this truly remarkable estate set on over 22 acres. 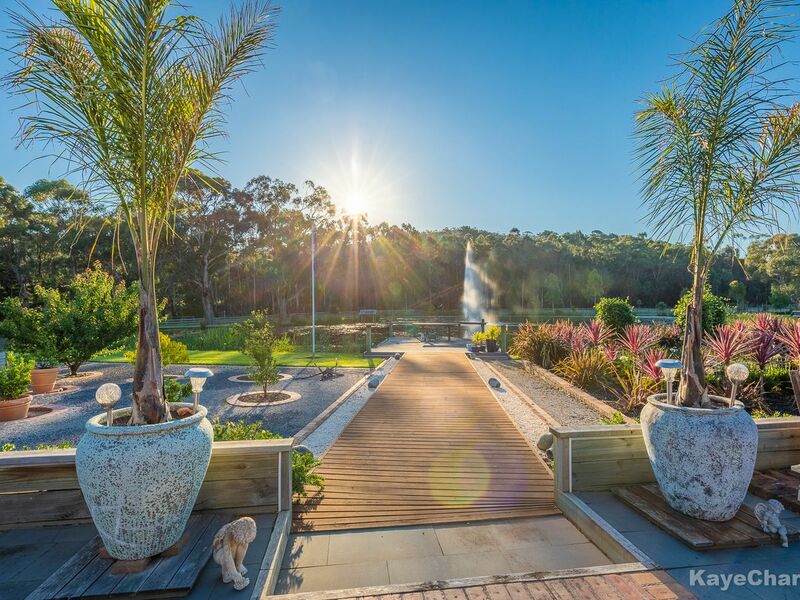 From the moment you enter the double electric gates and meander the paved edge driveway through spectacular mature gardens you are enveloped by a sense of peace and tranquillity. 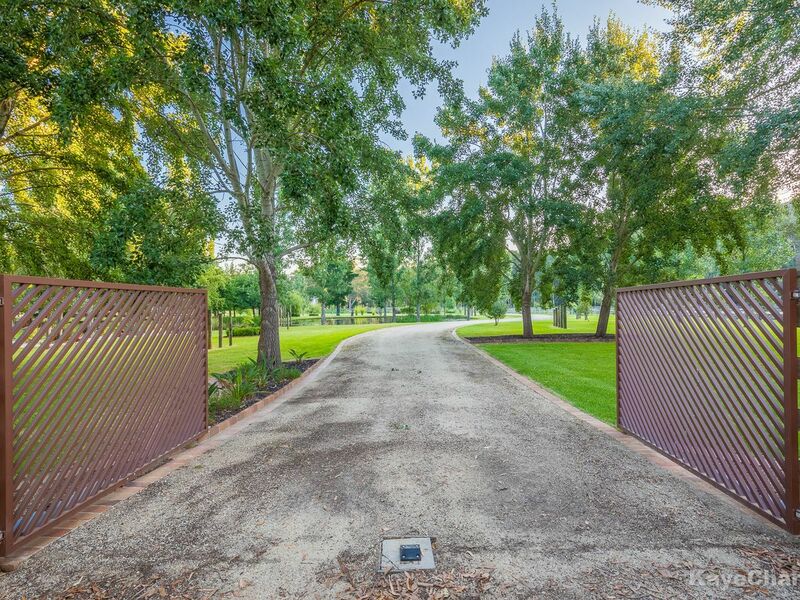 The large sweeping drive opens up to a magnificent vista of the one acre lake nestled into the Toomuc Creek reserve backdrop as you approach the stunning and timeless elegance of the most magnificent dwelling - gracefully elevated to enjoy these sweeping views. 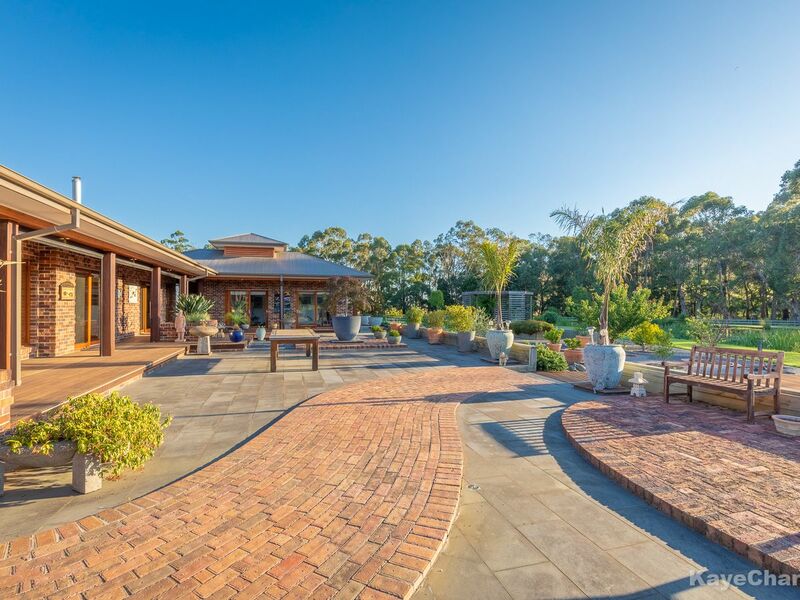 This exquisite residence of approx. 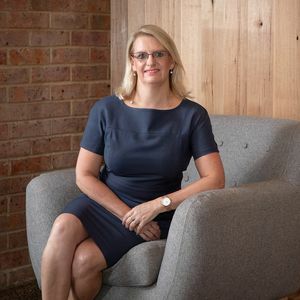 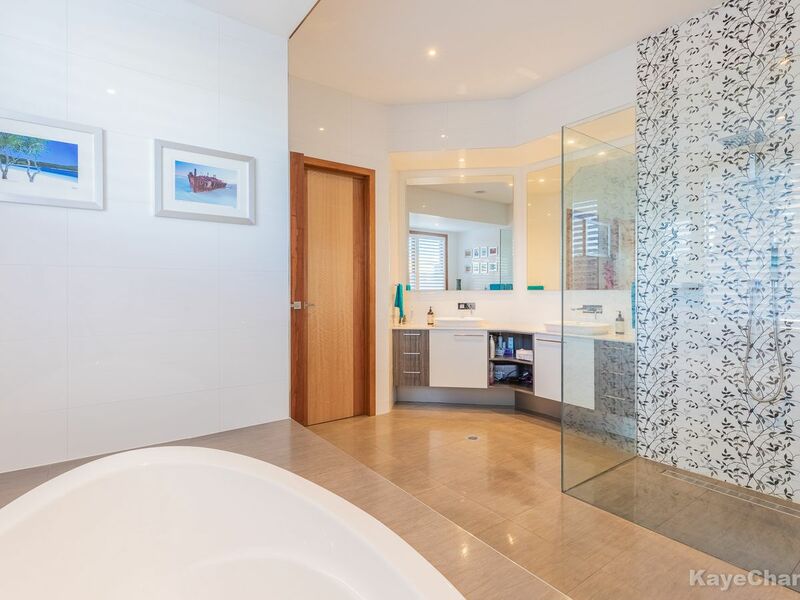 110 squares URL was architecturally designed and created by an owner builder with decades of experience in first class multi award winning residential construction. 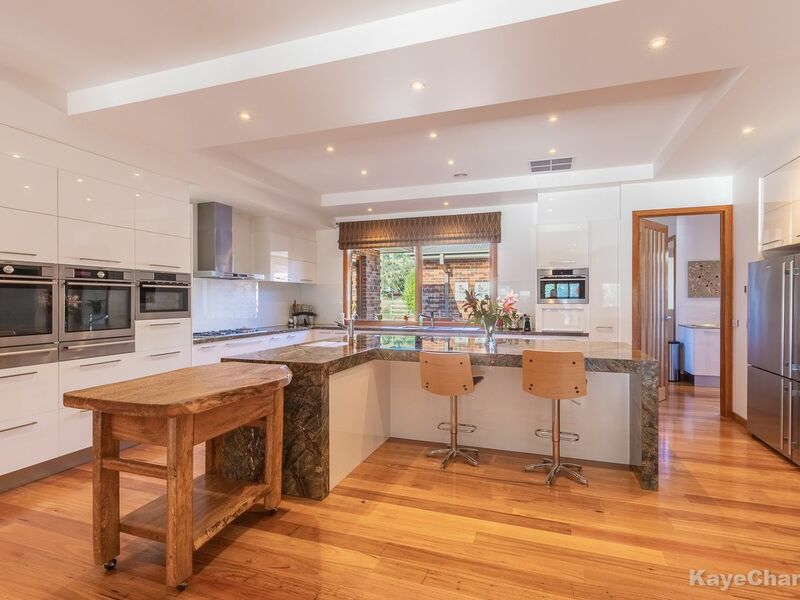 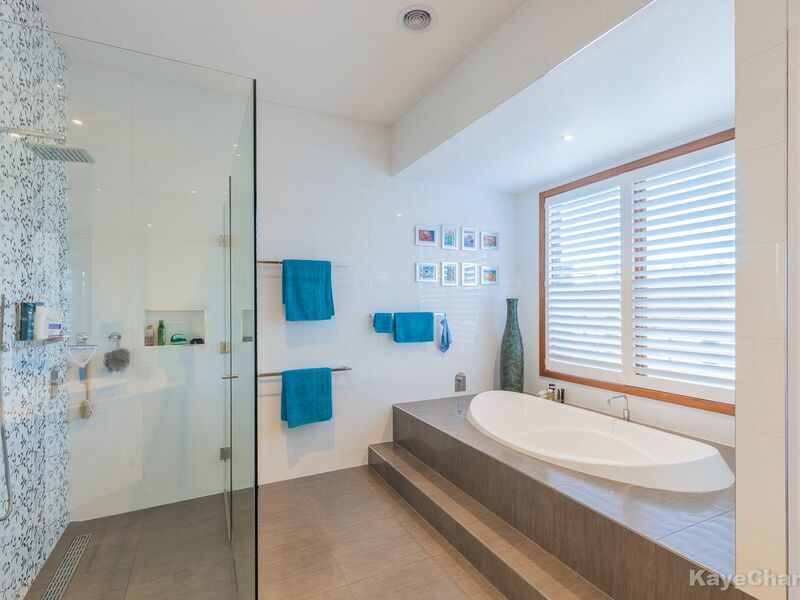 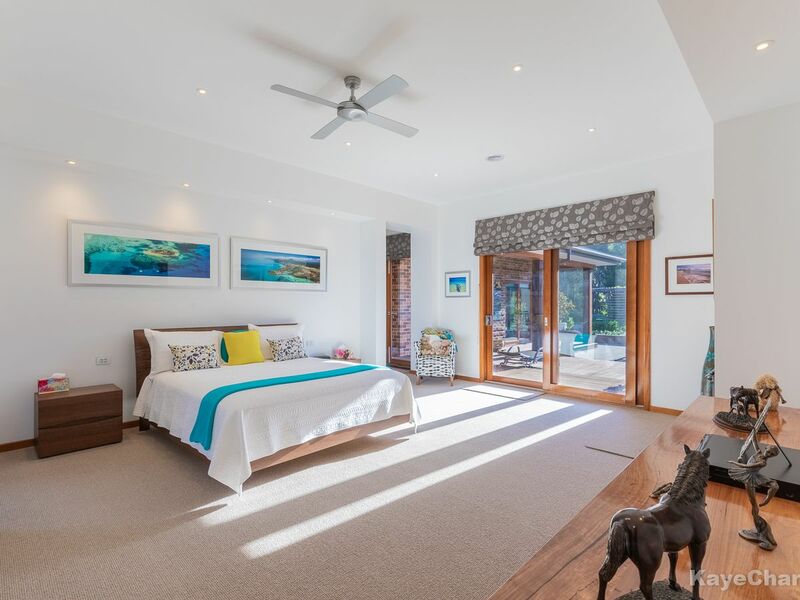 Utilising only the very best materials and appliances, timeless in quality and style, resulting in a flawless family home that provides relaxed resort style living of very generous proportions. 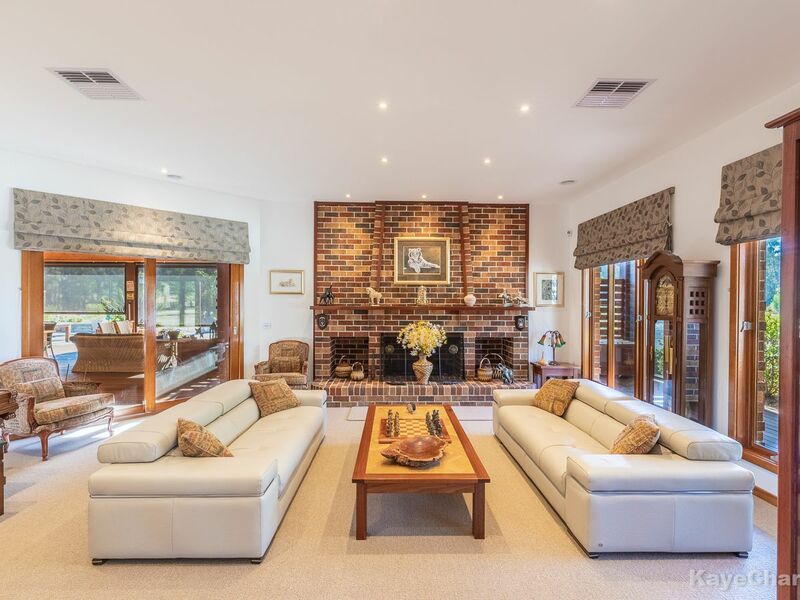 The timeless floor plan has been thoughtfully considered and designed with a practical versatility that boasts multiple living zones, dedicated study, formal dining room, formal lounge with the open fireplace being the centerpiece of the room, three oversized guests bedroom suites with a huge family bathroom coupling as ensuite to the guest wing. 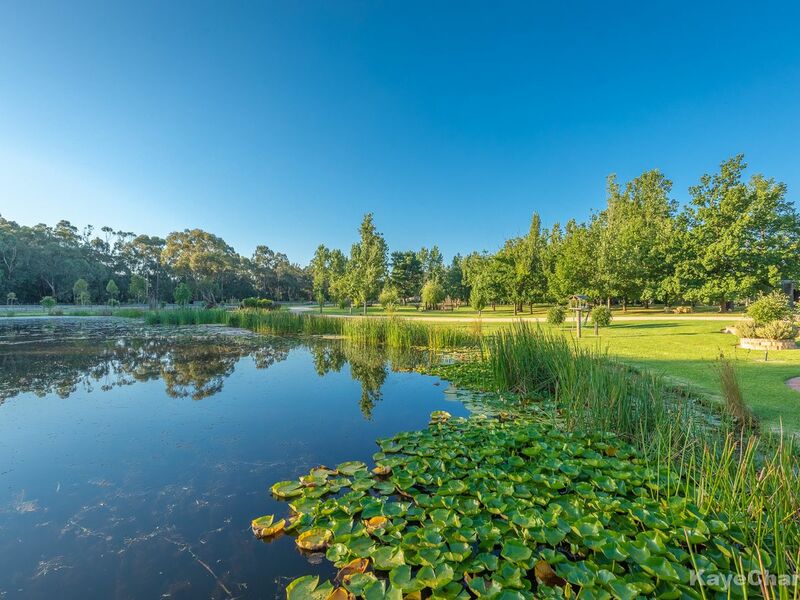 The private master wing is second to none complete with full ensuite, extensively fitted out dressing room and dual external access to a private courtyard and outdoor lake view areas. 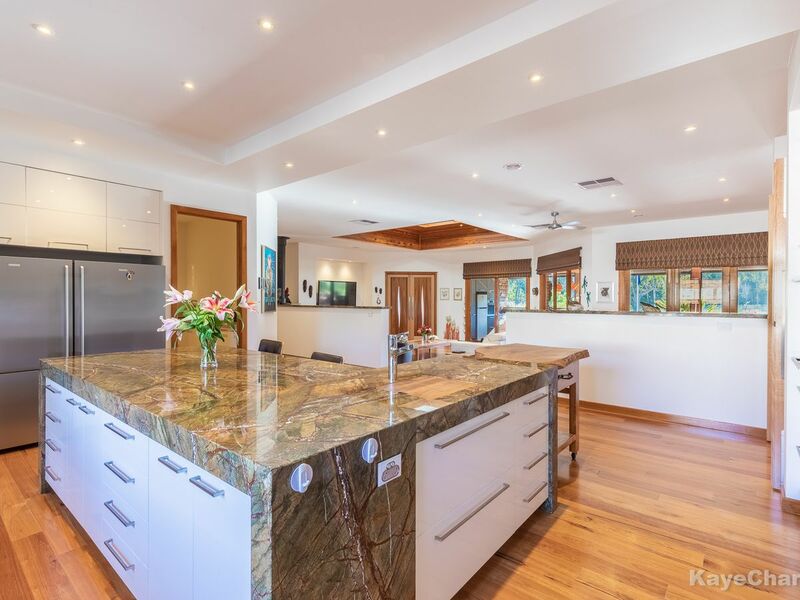 The extremely generous sized full marble benched kitchen sits in the hub of the home to be admired by all, featuring designer appliances, and an oversized butler’s pantry. 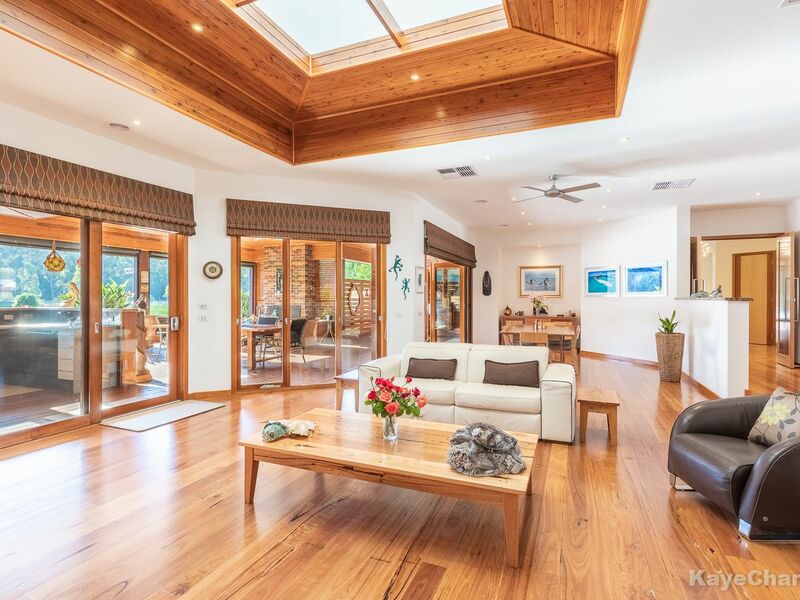 Stepping down to the large open plan meals and living areas which is bathed in natural light from a massive glass sided Pavilion roof structure. 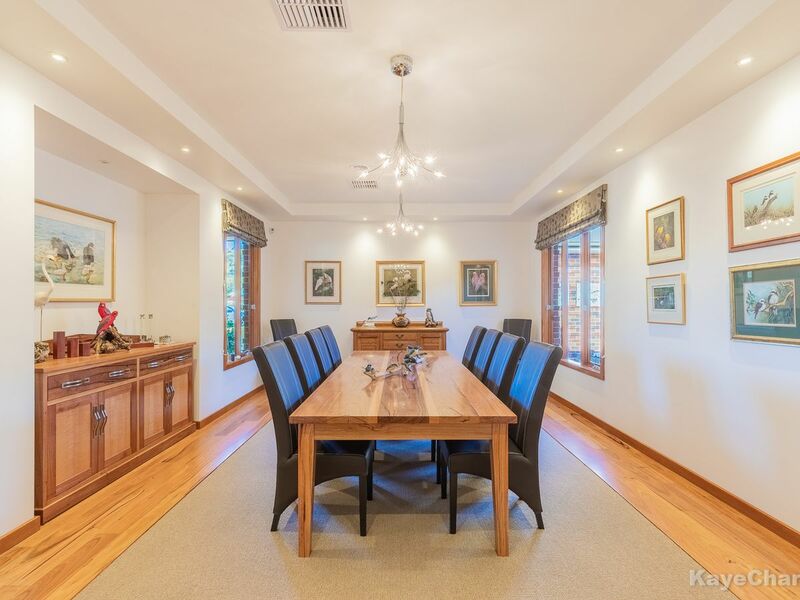 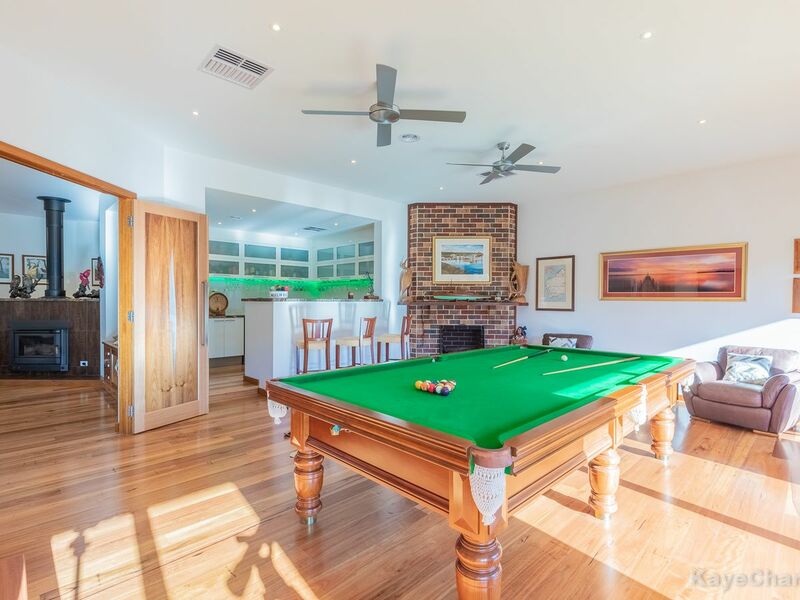 Leading off the family area is a games/ rumpus room boasting under bench refrigeration and ample storage for extensive wine / liquor and comfortably accommodates a 10 x 5 billiard table with ample casual seating. 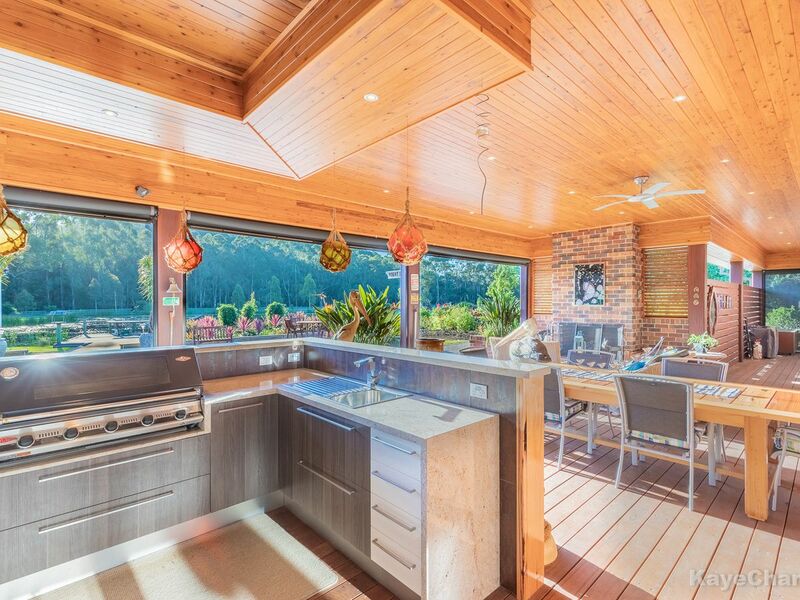 Indoors flows seamlessly to outdoors ensuring all of your entertaining needs are met . 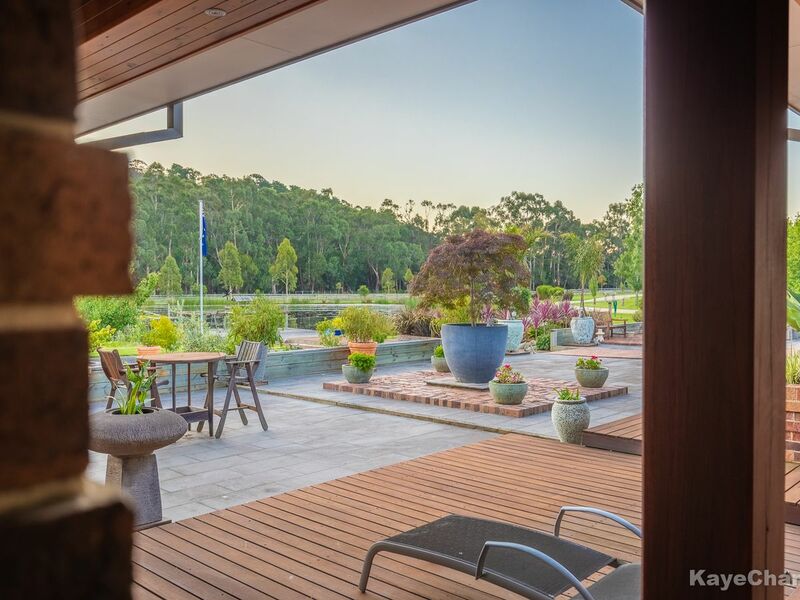 Complimenting the sublime style of the interior, the expansive URL alfresco area showcases a fully appointed stone kitchen, huge open fire place and roll down blinds to the West facing vista over the lake. 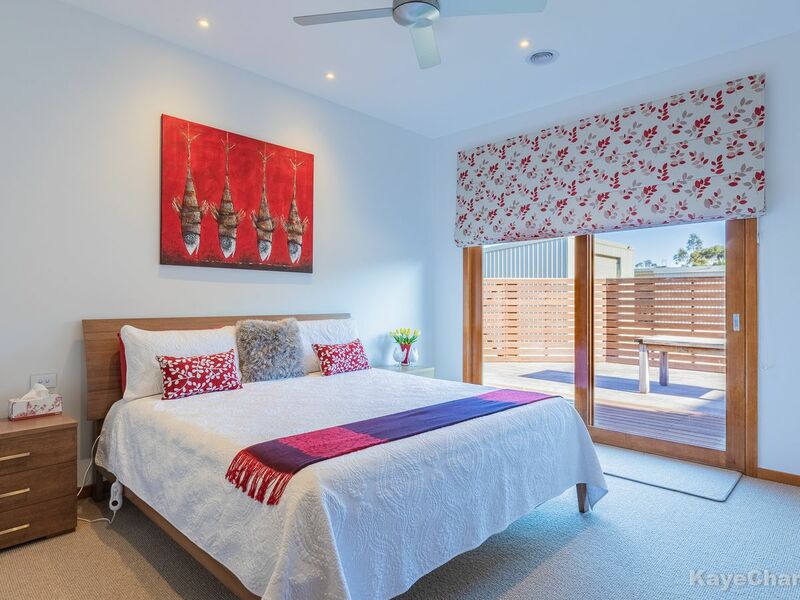 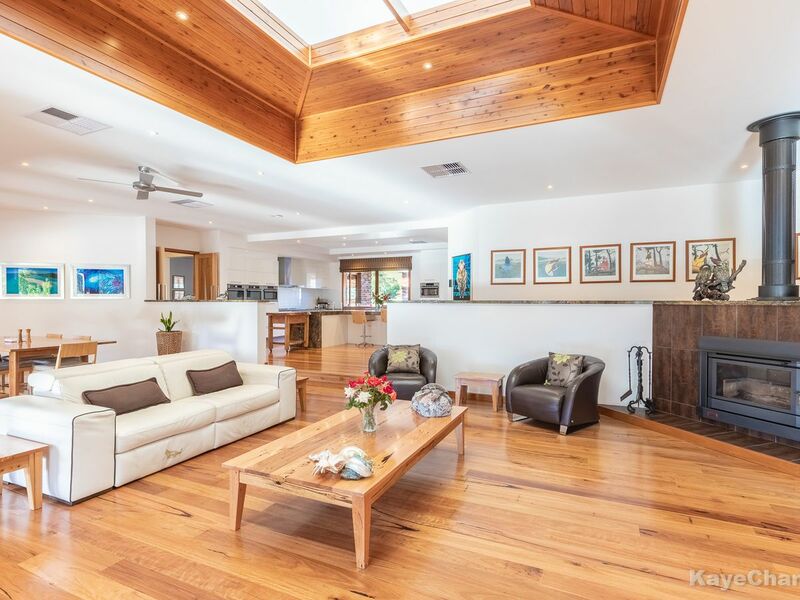 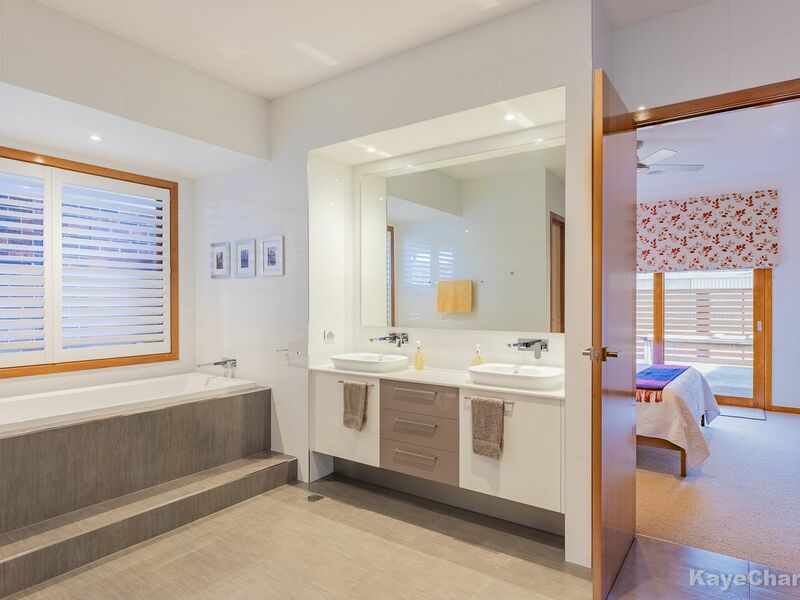 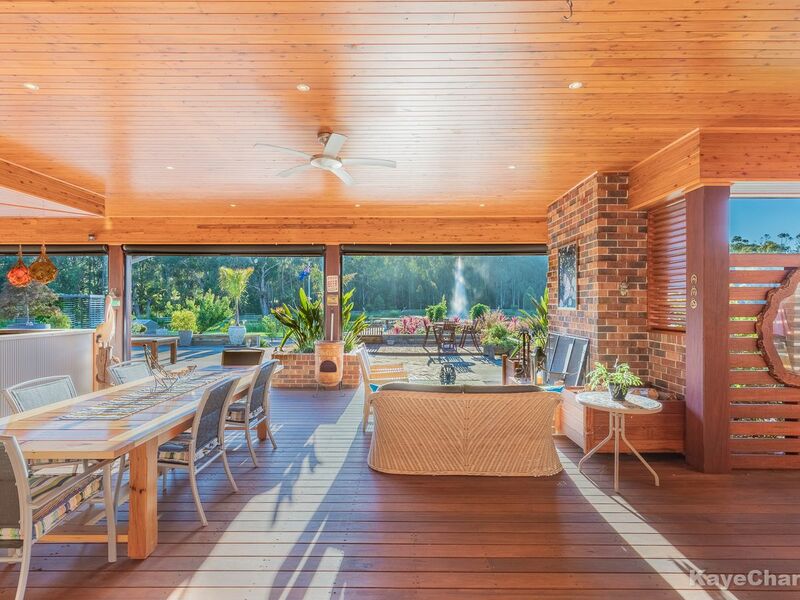 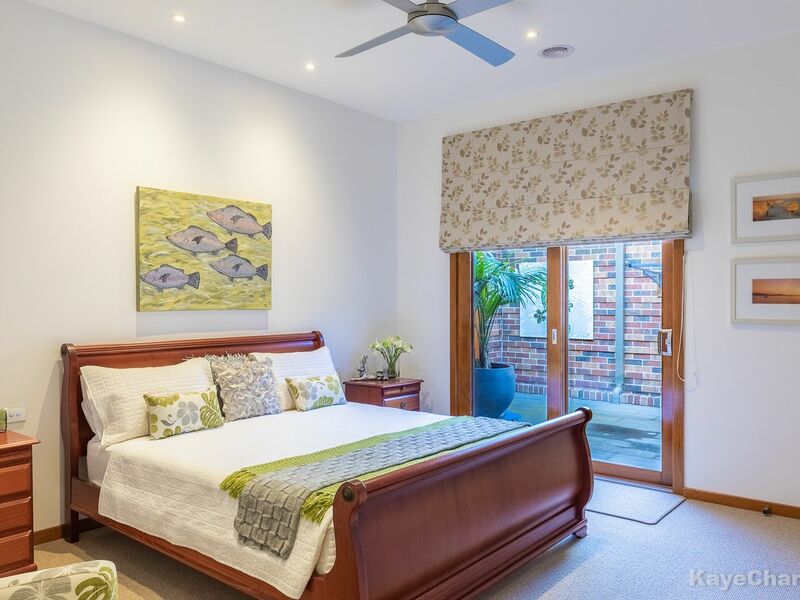 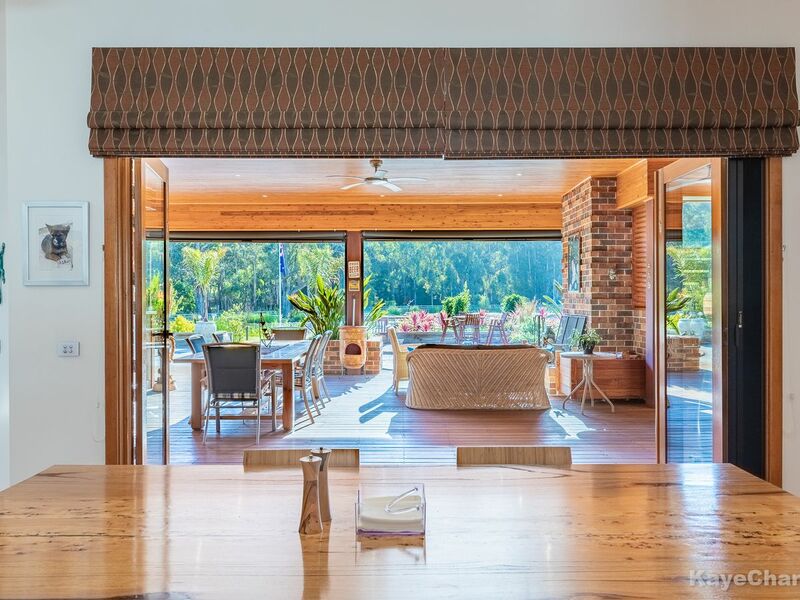 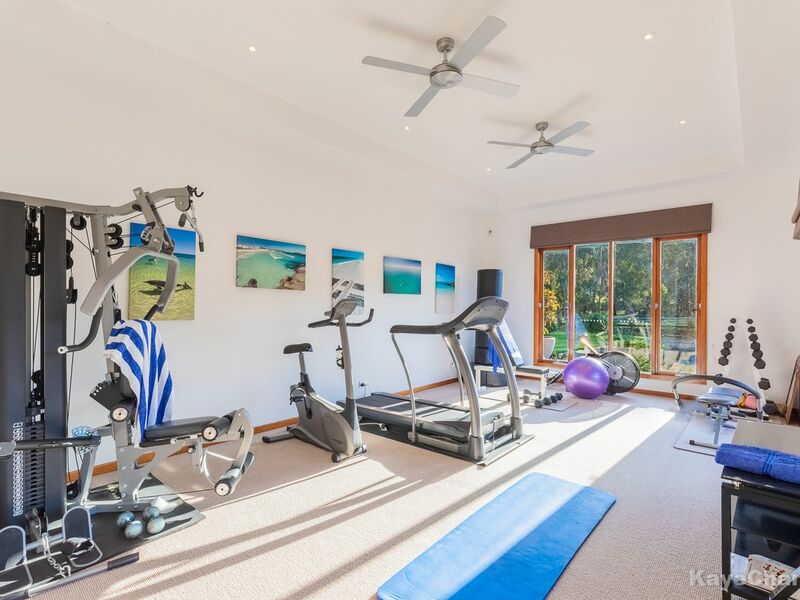 The fully timber lined alfresco and verandah ceilings which encompass the complete dwelling - provide all weather protection and a covered walkway to the standalone gym/ studio area which also has full ensuite facilities. 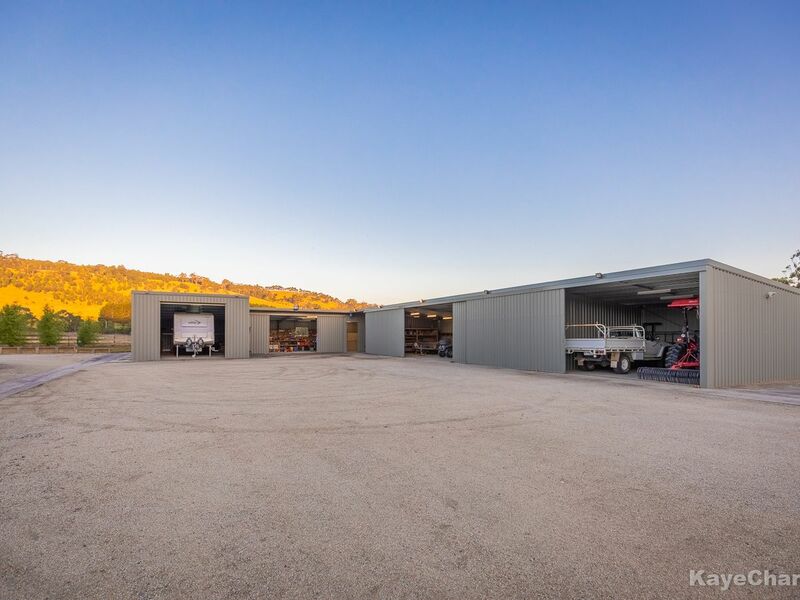 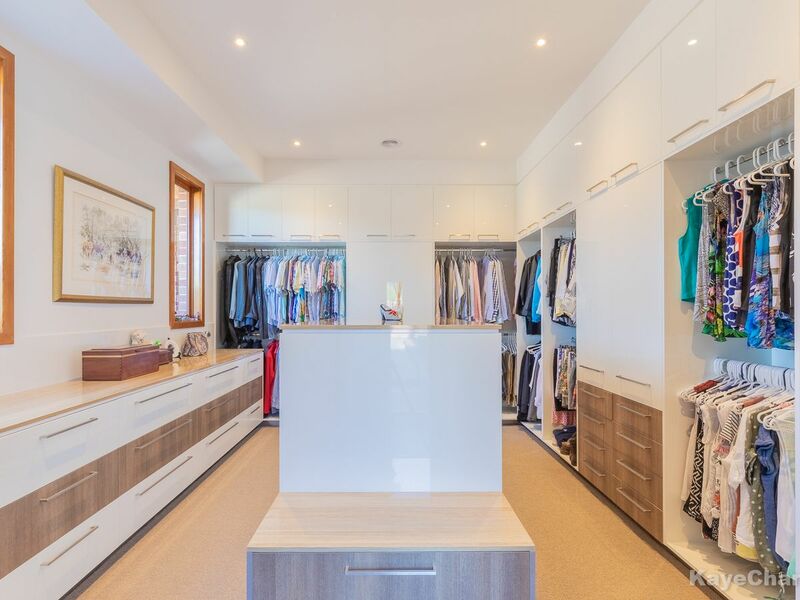 Vehicle accommodation is ample with a 6 car garage, remote control access, direct entry into the home, and extensive built in cupboards and storage rooms. 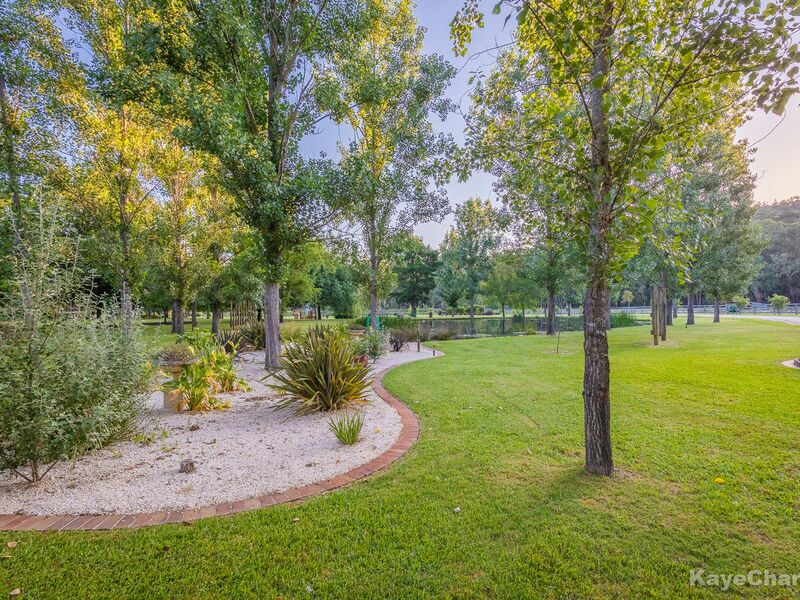 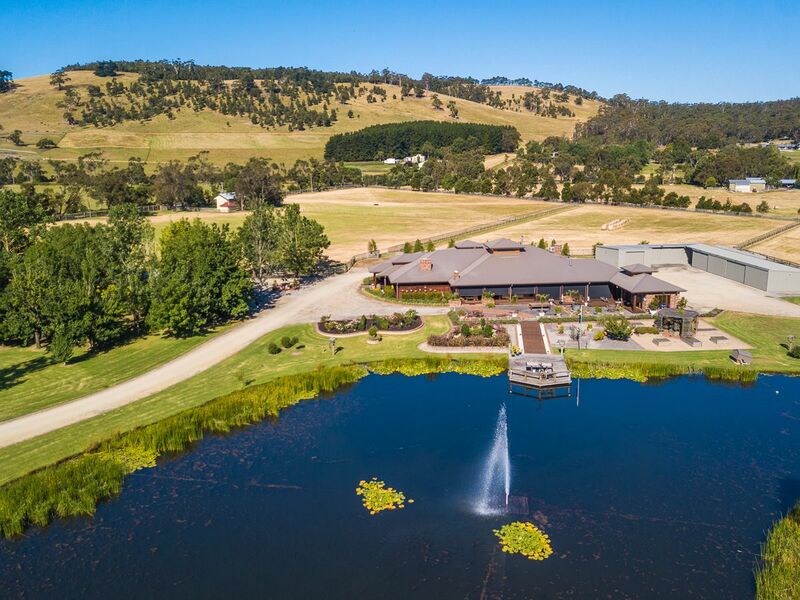 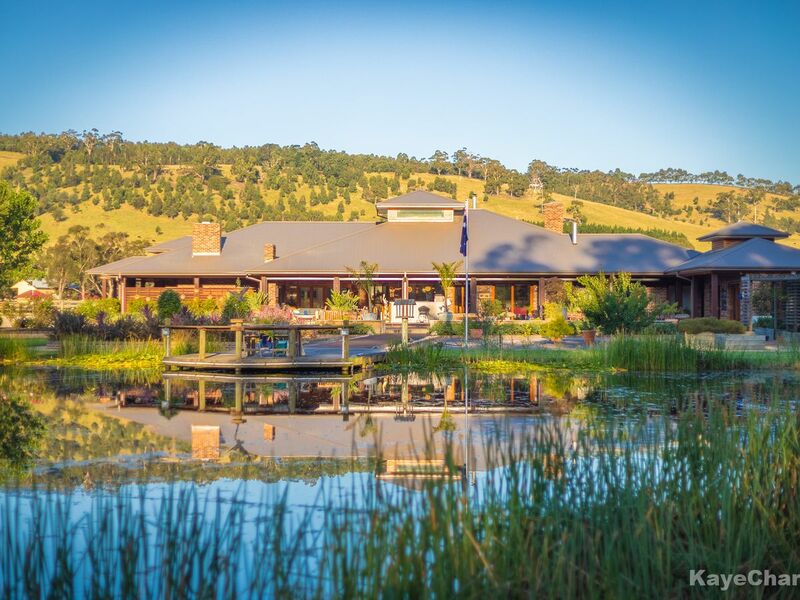 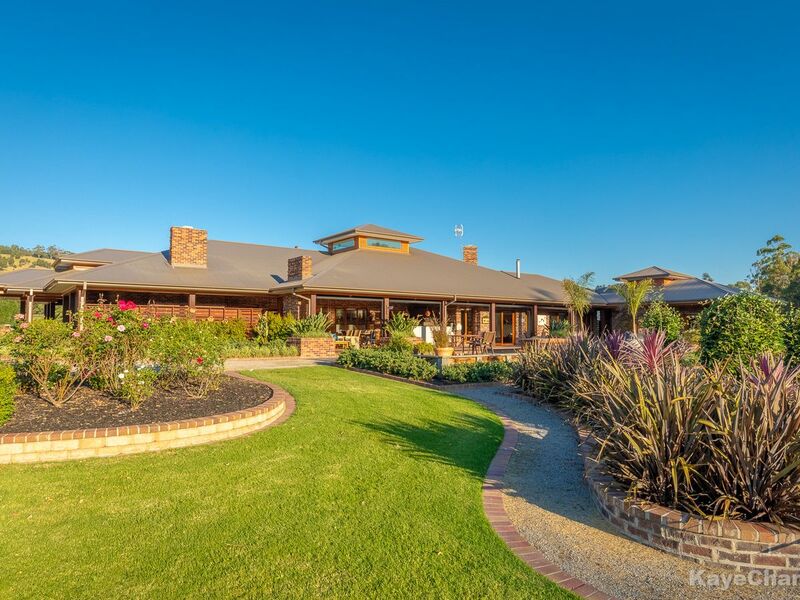 For the horse and animal lovers the property is fully catered for with extensive post and rail fencing, double loose box shelter, 7 paddocks and a shedding complex of almost 400m2 that securely stores every item of machinery you could wish for. 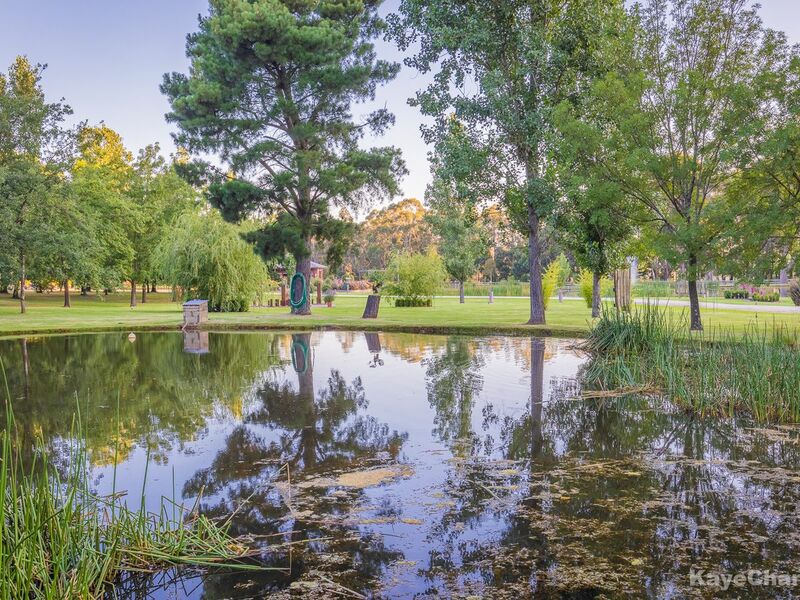 Water is abundant with mains water plus 100,000 litres of tank water. 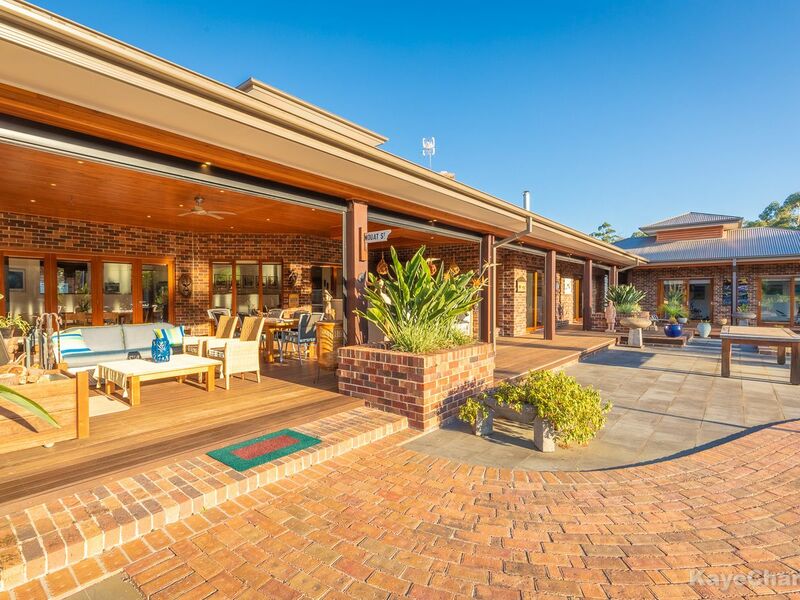 The property enjoys private access to approx. 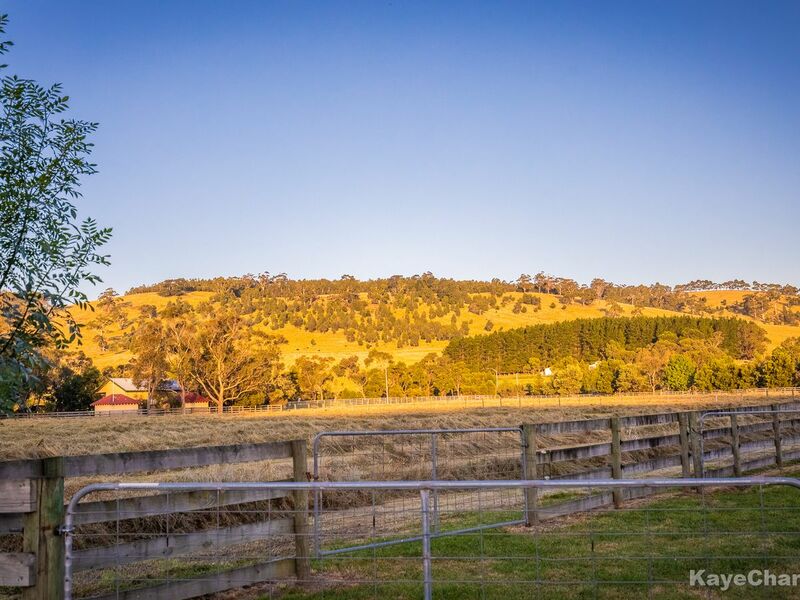 500m of the Toomuc Creek frontage on the Western boundary which also enjoys pumping rights. 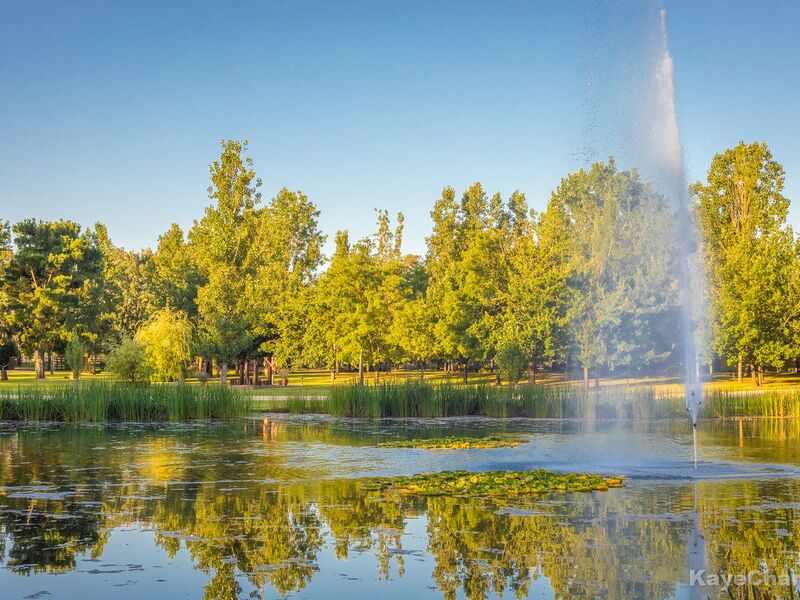 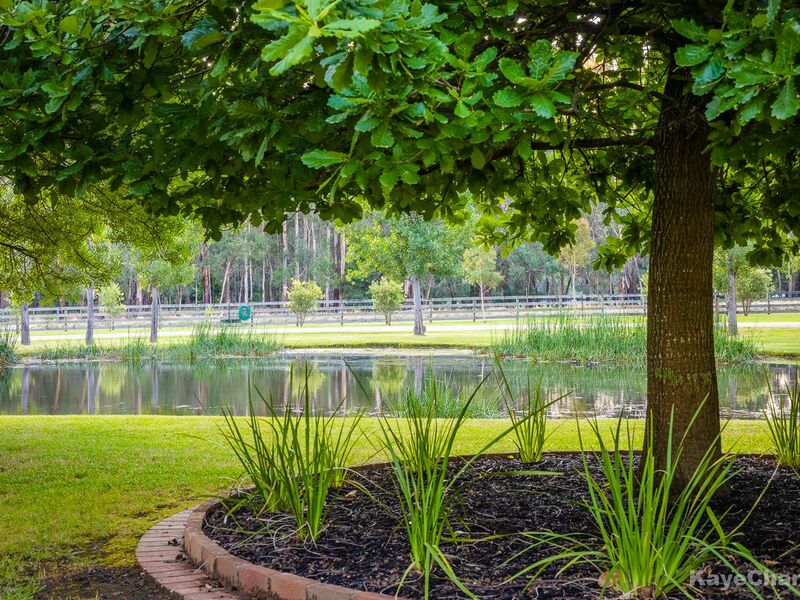 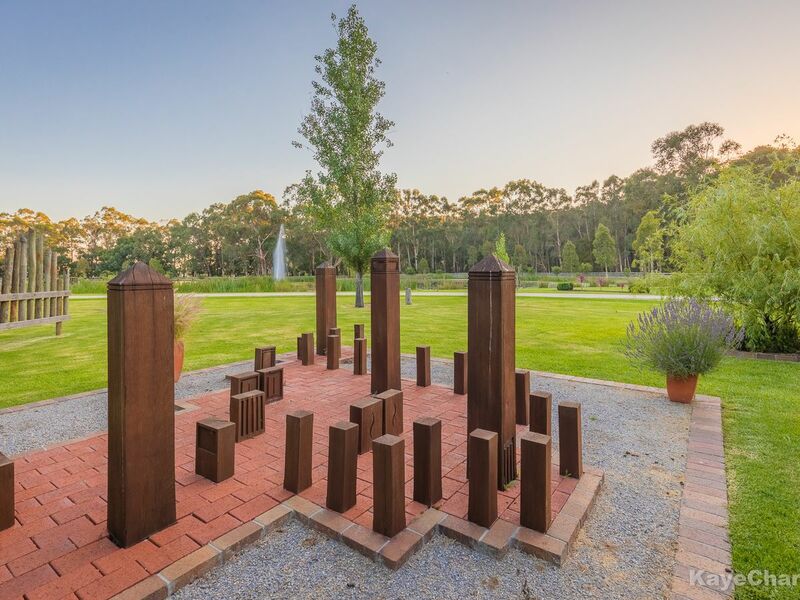 The captivating grounds and gardens have been so thoughtfully designed with every aspect considered resulting in a fully reticulated park like low maintenance resort style setting. 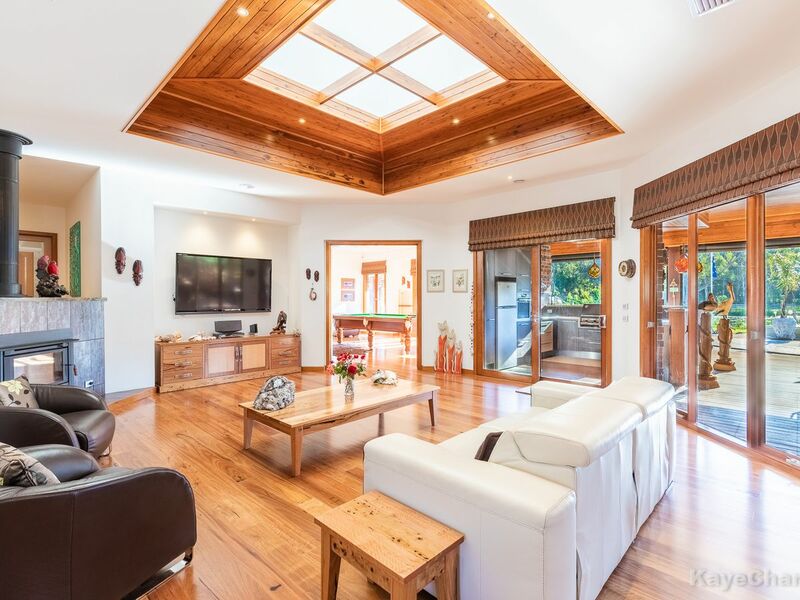 A property such as this cannot be captured in a brief description so if you are genuinely seeking a lifestyle of this calibre, then simply arrange a viewing.